5/12 Pine Barrens ride, led Streeter, Meet @ Freedom Gas Station in shoreview Hwy 96/61 @ 8:45-9:00AM. 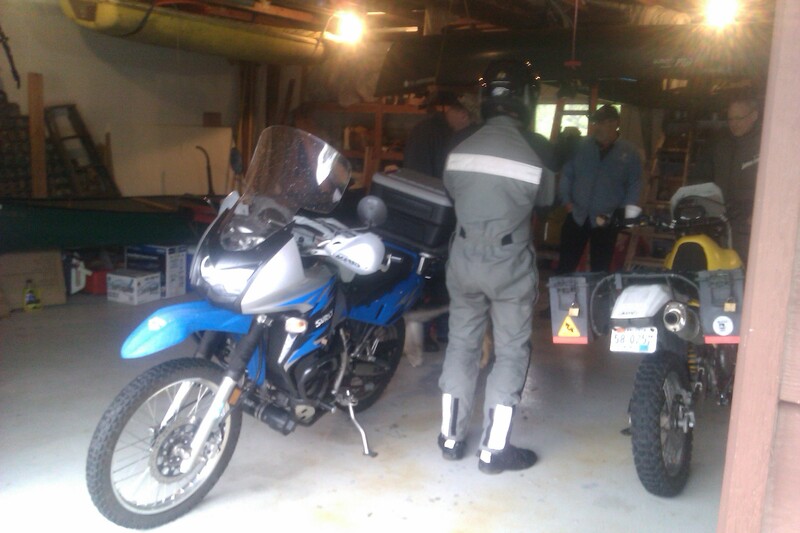 7/19 Leo’s South URAL meetup at 5:30 ride from store to “Moscow on the Hill” 371 Selby Avenue St. Paul. A big thanks to Paul for hosting this year’s Tech Day for the TC Dual Sport group. 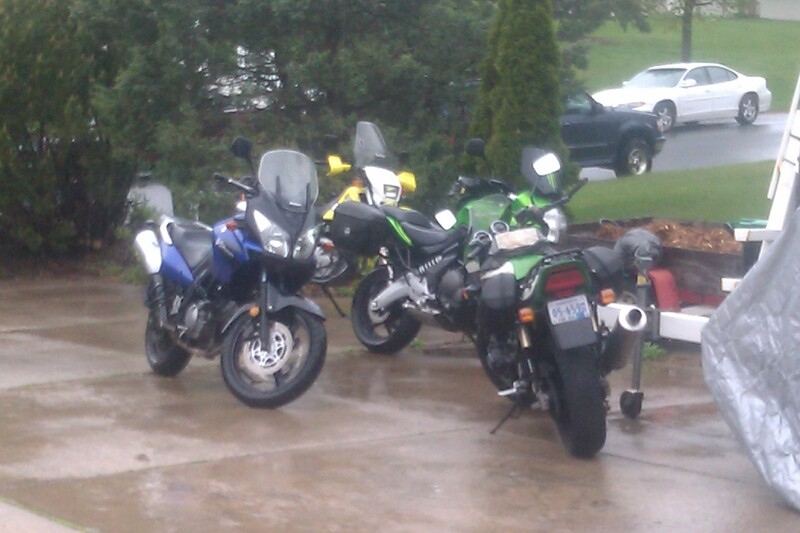 It was cold, wet, and windy but a good number of riders showed up anyways. There was not a lot of wrenching going on, but there was a lot of gawking at farkles, gabbing, and good camaraderie. Check out the photos below. For all you riders in the metro area this is a reminder that the Twin Cities Dual Sports yahoo group is holding their yearly “Tech Day” on Saturday in Shoreview. See our events calendar for more info. You will need to email to get the address and/or details. 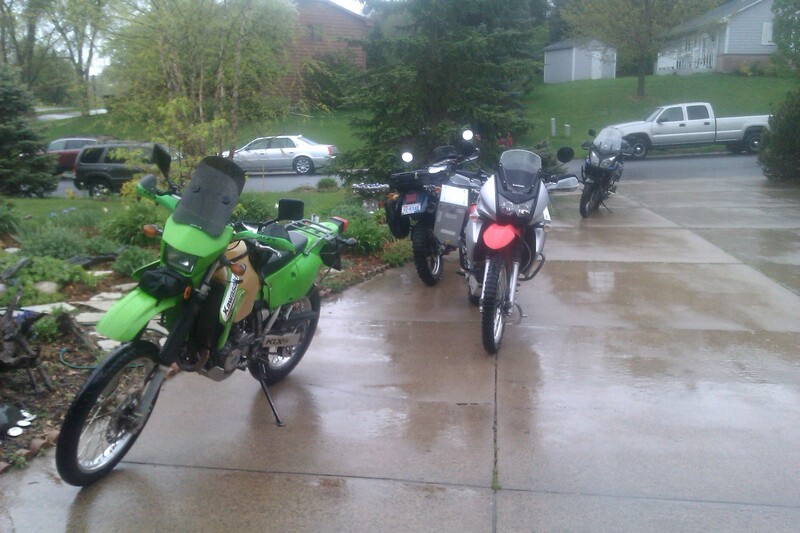 It looks to be a cold morning so crank up those heated grips and head on out for some camaraderie with local riders. Seems like I am on a kick posting all these videos lately, but at least this is one I created myself. I do get contacted frequently with questions on how to download the TMAT GPS files. So here is a quick video showing you how to do that as well as a couple other features of the dualsportmaps.com website riders use to host the GPS files. Hope it is helpful. Motojournalism.com put together this video about two ~70 year old riders and published it today. If you need motivation to get out and ride, train, and learn from your elders this video will do it for you. I enjoyed it very much. It also makes me want to ride in Canada. Looks like they have some great country there. You are currently browsing the Minnesota Adventure Riders blog archives for April, 2012.